A widely published journalist, Lionel Shriver is the author of 12 novels, including the New York Times bestsellers So Much for That (a finalist for the 2010 National Book Award and the Wellcome Trust Book Prize), The Post-Birthday World (Entertainment Weekly’s 2007 Book of the Year) and the 2016 Sunday Times Top 10 bestseller The Mandibles: A Family, 2029 – 2047. Shriver’s international bestseller and winner of the 2005 Orange prize, We Need to Talk About Kevin, was adapted for a feature film by Lynne Ramsay in 2011. Her work has been translated into 28 languages. 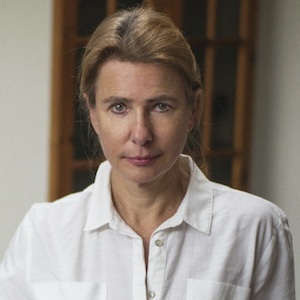 Lionel Shriver won the BBC National Short Story award in 2014 and her first short story collection, Property, was published in 2018.